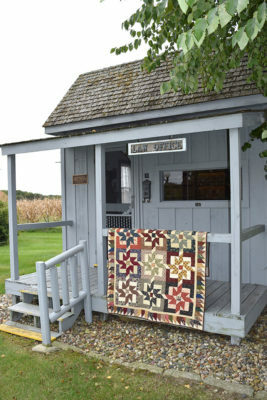 We’re taking a little deviation from our typical “Iowa QuiltScape” post today to give you a detailed look at two amazing events happening at the Iowa Quilt Museum this month. 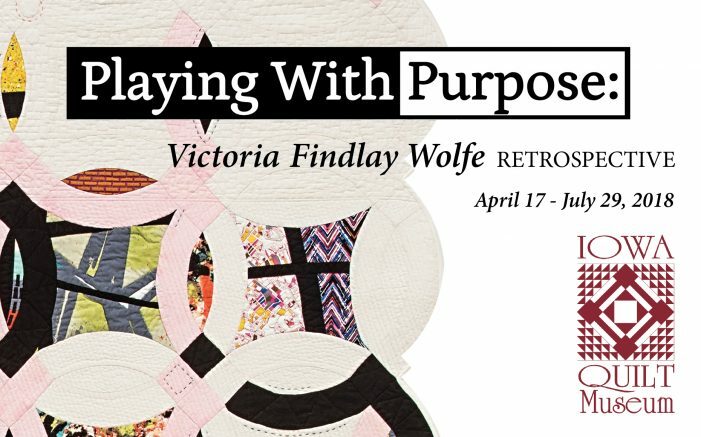 On Tuesday, April 17th, the Iowa Quilt Museum will unveil its newest exhibit Playing With Purpose: A Victoria Findlay Wolfe Retrospective. Victoria Findlay Wolfe is an award-winning quilter, an international instructor, lecturer and author and a designer for Marcus Fabrics. 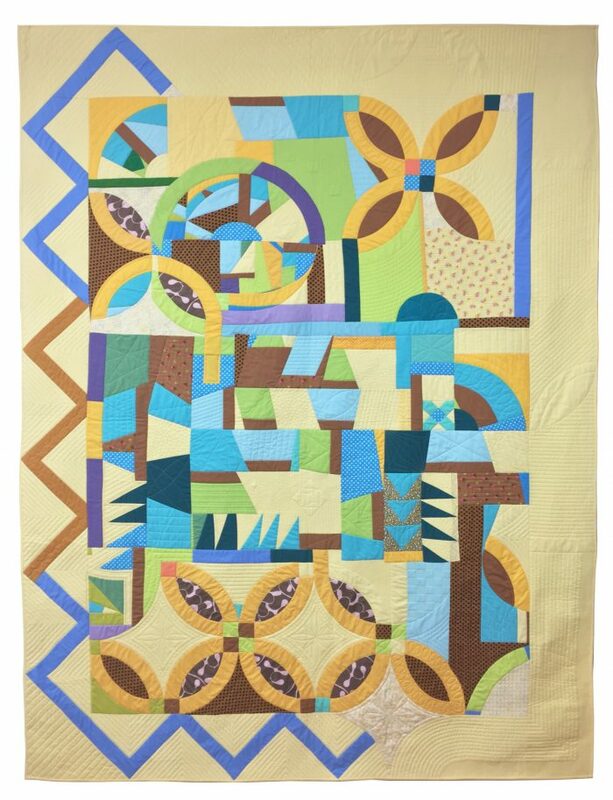 Victoria will be at the Exhibit Opening Reception for this, her first retrospective, on Saturday, April 21st, 5:00 – 8:00pm. 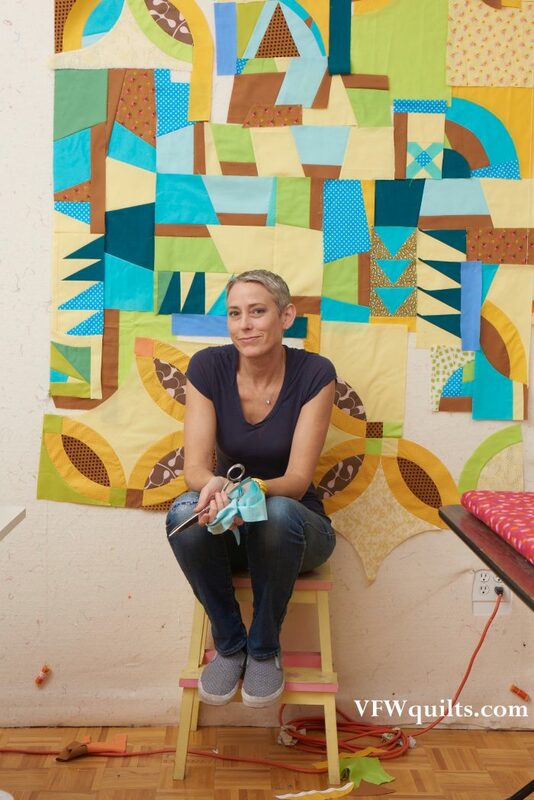 Her remarks are planned for approximately 6:15. 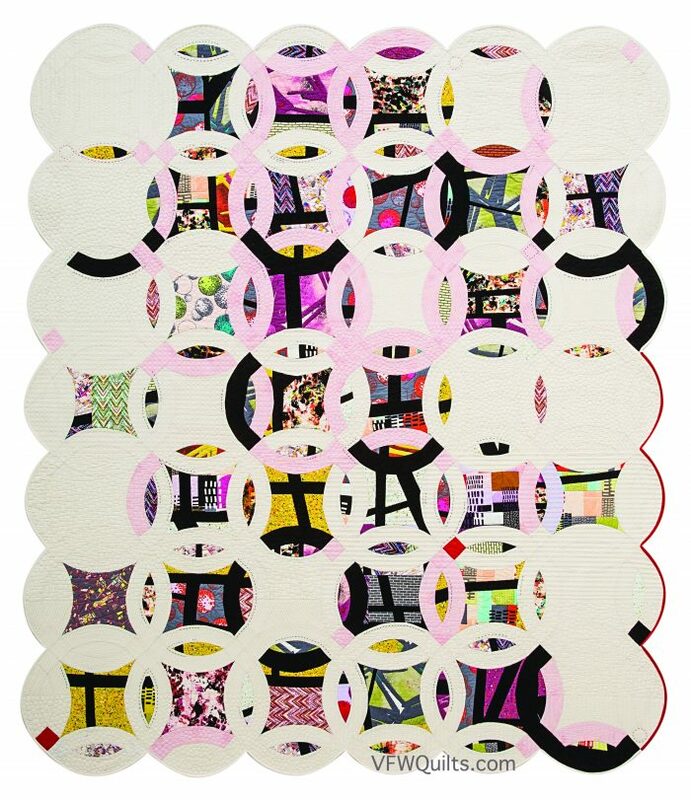 Tickets to the opening reception can be purchased at the door or in advance ($10). 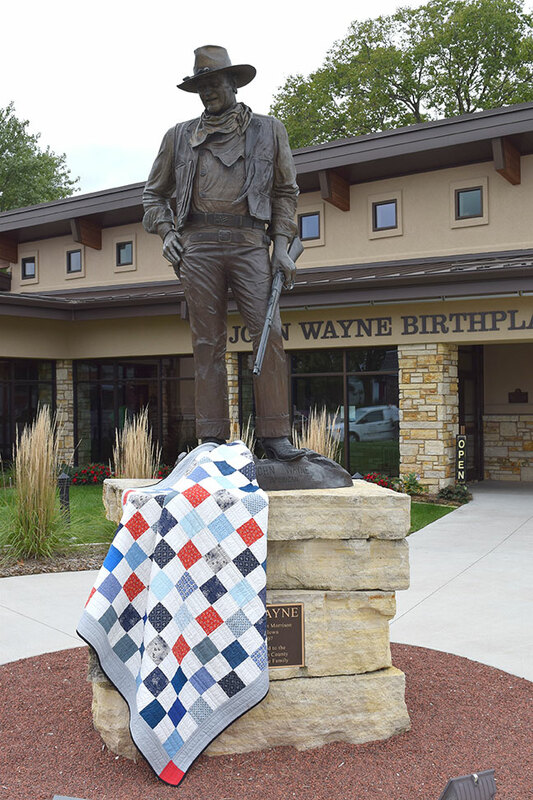 Winterset, Iowa—birthplace of John Wayne, county seat of Madison County, home of the Bridges of Madison County and since 2016, the Iowa Quilt Museum—will play host to a community wide event featuring the display of hundreds of quilts on Saturday, April 28th, 2018. 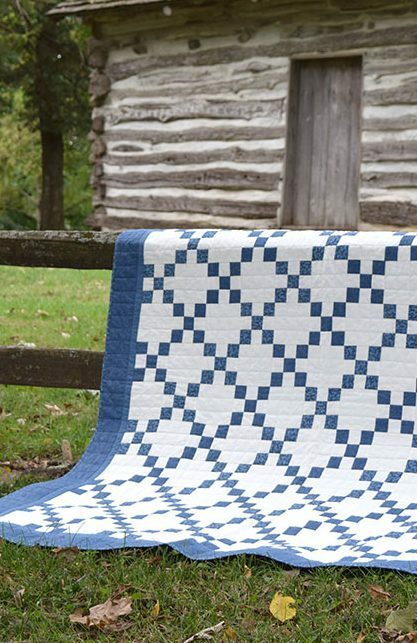 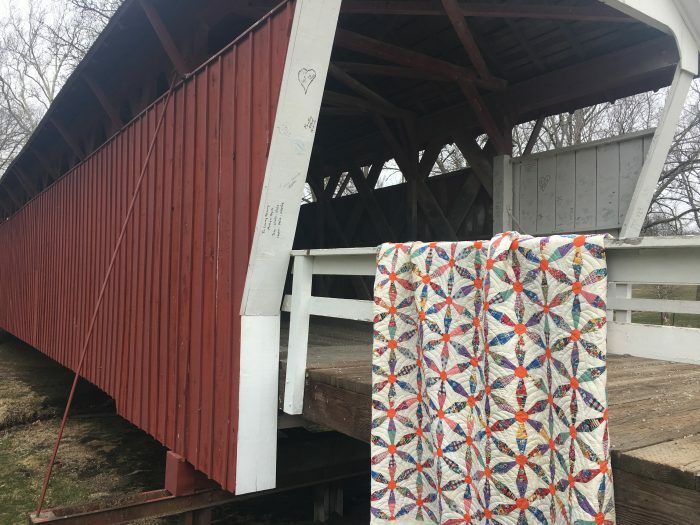 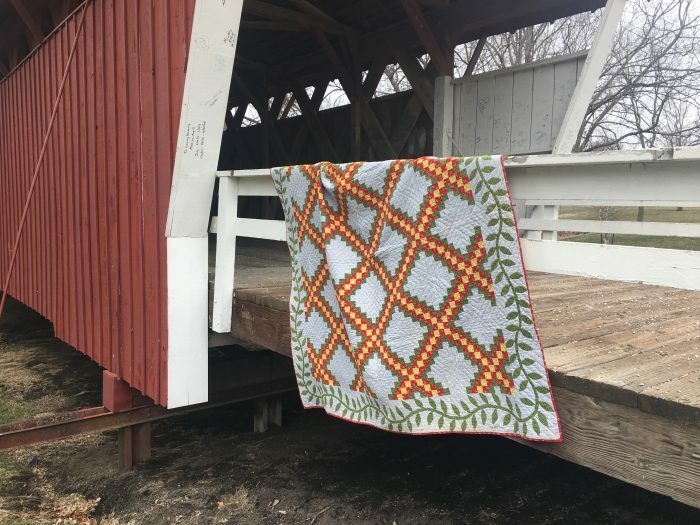 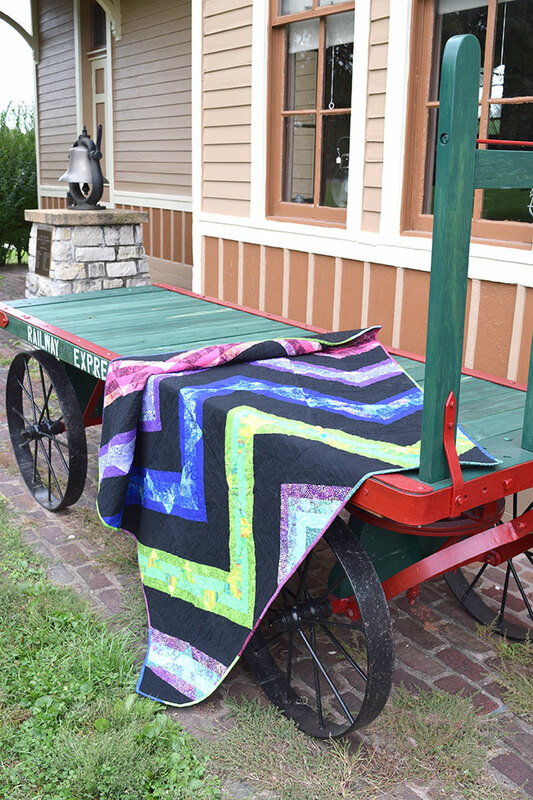 From 10:00am – 4:00pm, quilts will be on display in four covered bridges, inside and on the porticos of the historic county courthouse, in local business windows, and on clotheslines, porches, and fence rails throughout the community. 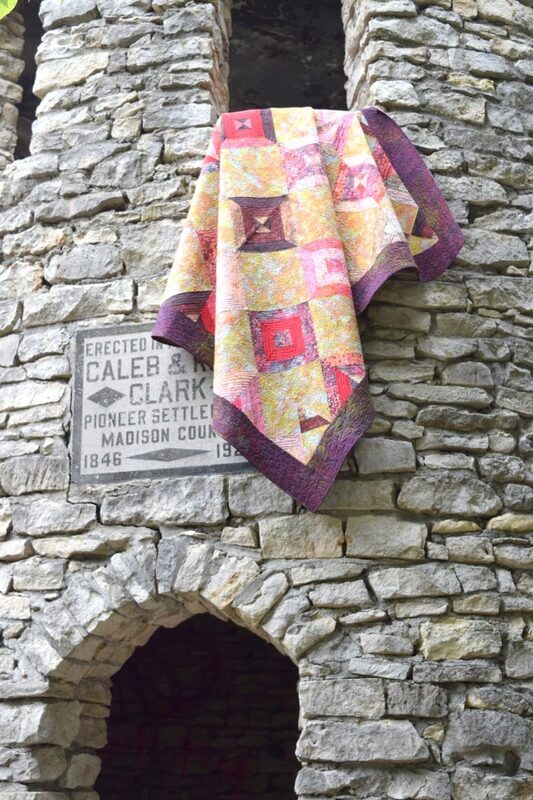 Visitors to the Airing of the Quilts can purchase a $20 ticket that will allow entry into additional quilt displays in three local churches, a tour of four historic homes featuring quilts, a tour of the upstairs gallery at Piece Works Quilt Shop, quilts from the collection of the Madison County Historical Society on display on the grounds of the Madison County Historical Museum, and the current exhibit at the Iowa Quilt Museum, Playing with Purpose: A Victoria Findlay Wolfe Retrospective. 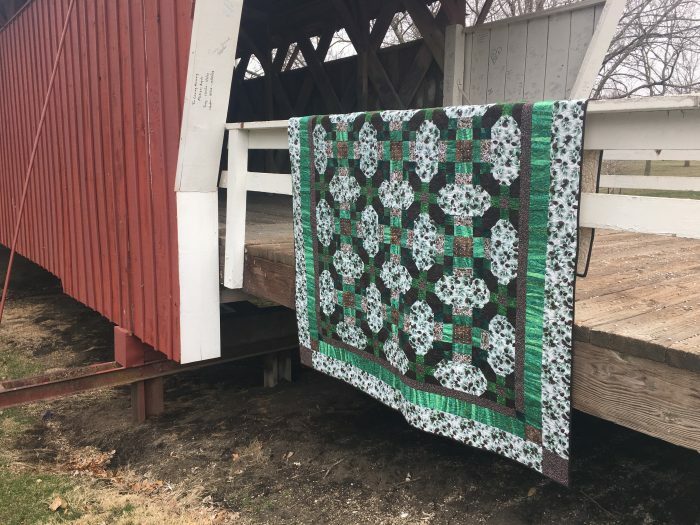 Several of the churches will offer lunch for a modest price and markets with quilted items for sale. The day will conclude with two events benefiting the Iowa Quilt Museum. 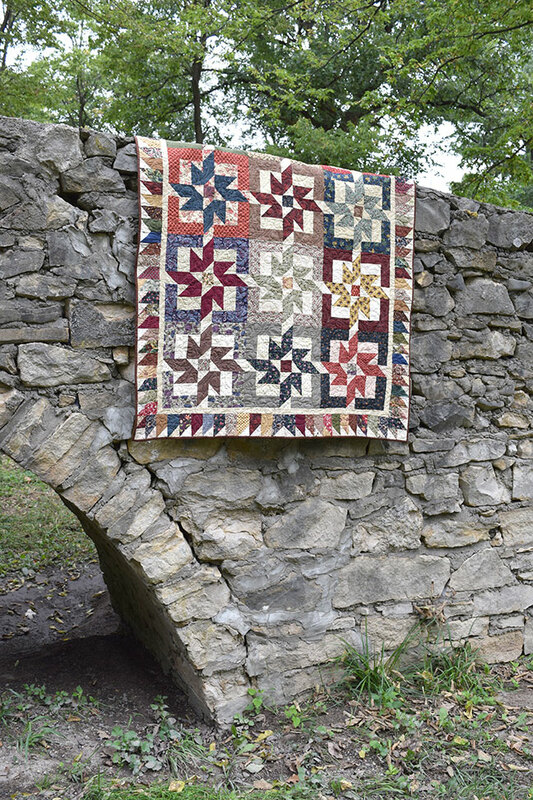 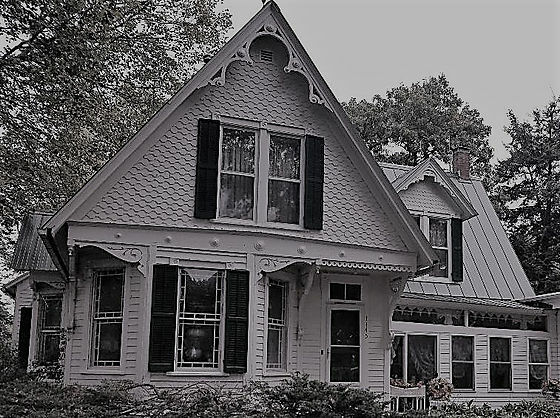 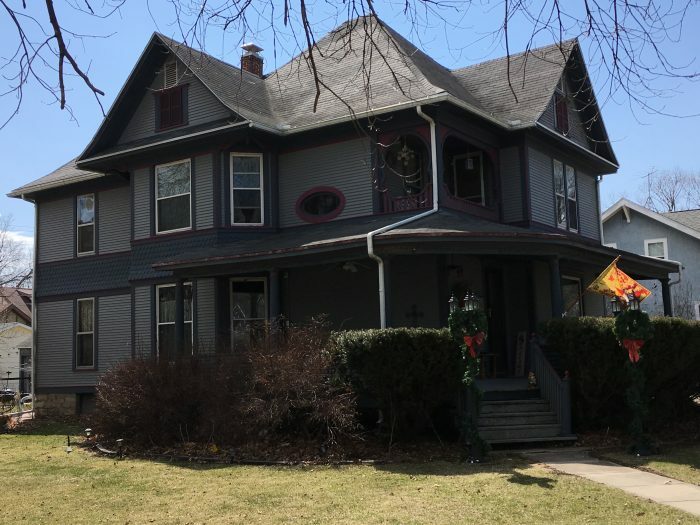 At 4:30, the museum, located on the south side of the town square, will host a cocktail reception featuring Barbara Brackman and Deb Rowden, quilt collectors from Lawrence, Kansas. 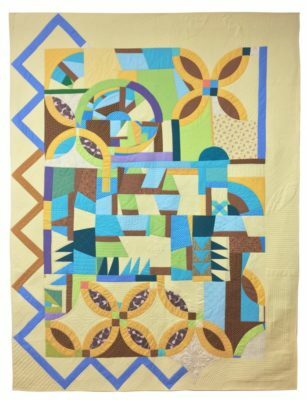 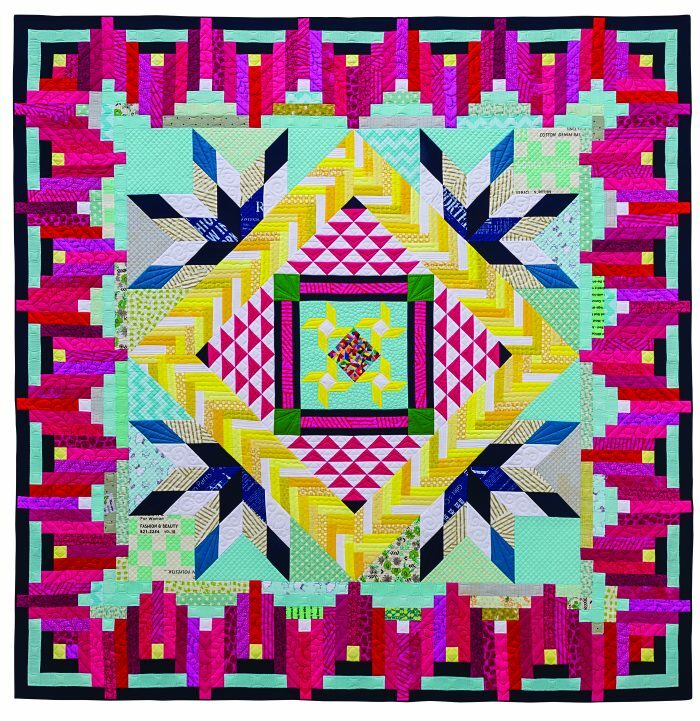 Brackman, author of many quilt publications including the Encyclopedia of Pieced Quilt Patterns, and Rowden will present a trunk show of oddball quilts from the past—historic works of “art” one might consider wacky or out of control. Guests can purchase a ticket to the reception for $10 and enjoy the trunk show, Wolfe’s exhibit of quilts, plus drinks and hors d’oeuvres. 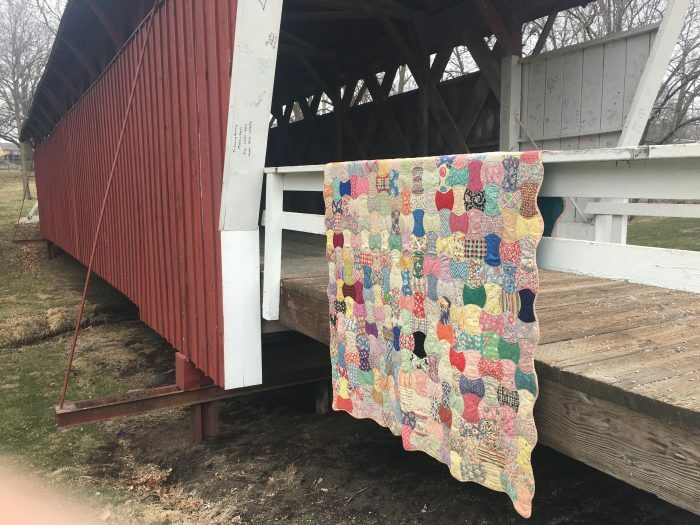 Following the cocktail reception, a fundraiser dinner will be served at the First United Presbyterian Church in Winterset with a live quilt auction to follow. 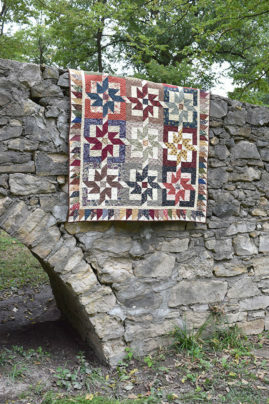 The auction will include both antique and contemporary quilts. Quilts are being donated for the auction by Marianne Fons and Liz Porter, founders of Fons & Porter’s Love of Quilting; well-known Moda fabric designer Sandy Gervais, and Mary Fons, Madison County native, founding editor of Quilty magazine and “Quilty” online tutorials, and currently editor of Quiltfolk magazine. 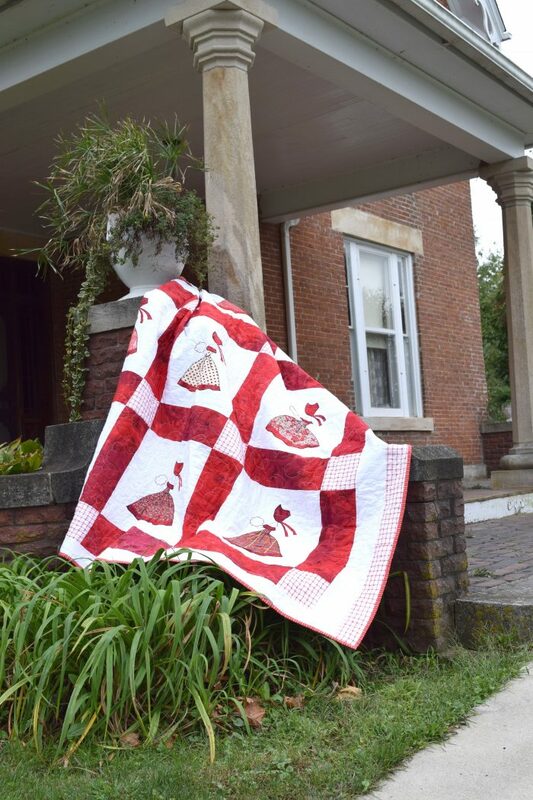 Price for the dinner and auction is $35 or $40 for a ticket to the dinner/auction and reception. 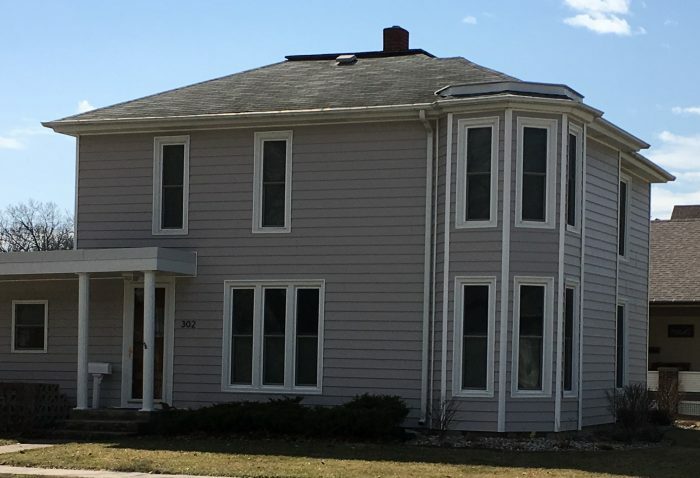 The address of the Presbyterian Church is 210 W Green St, Winterset, IA, 50273. 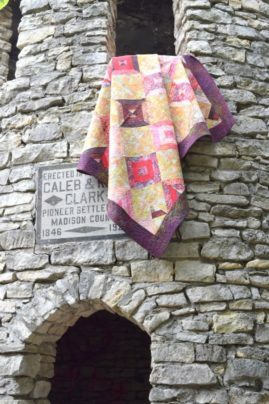 All auction items will be on display throughout the day in the Presbyterian Church sanctuary. 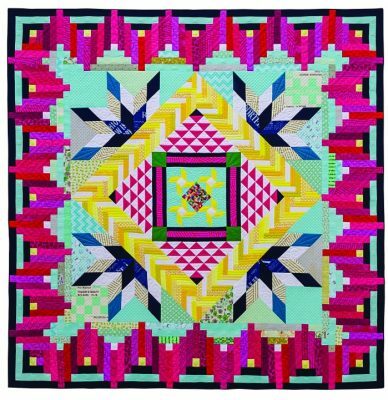 Here are four of the quilts that will be available in the live quilt auction. 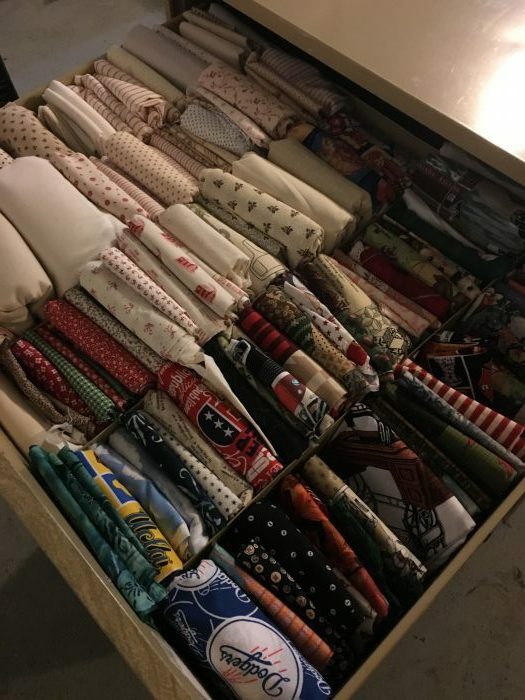 1942 Singer Featherweight Sewing machine – tuned up and ready to use! 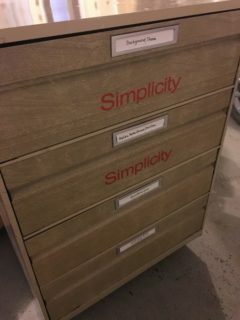 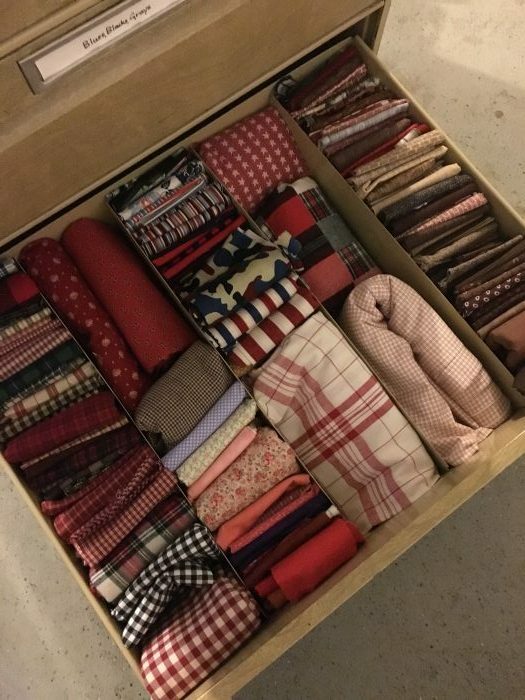 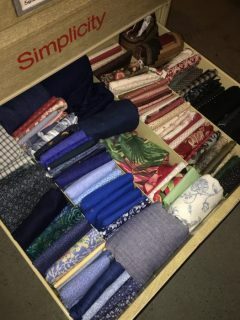 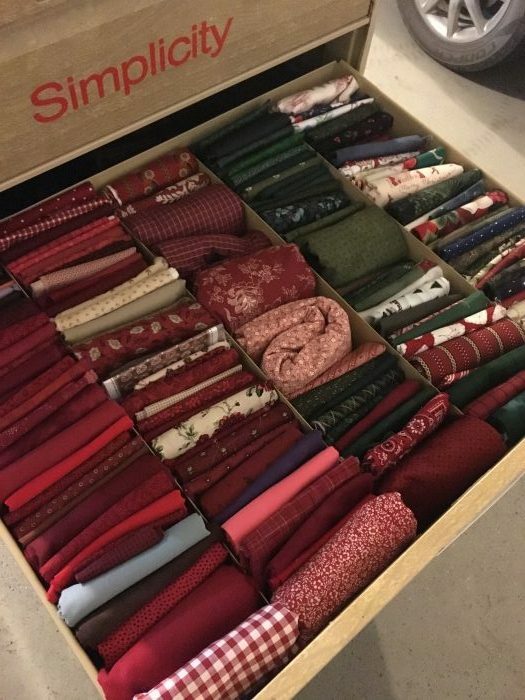 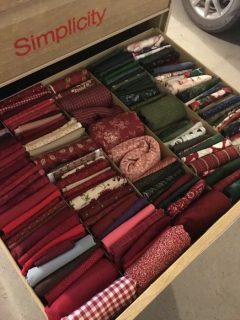 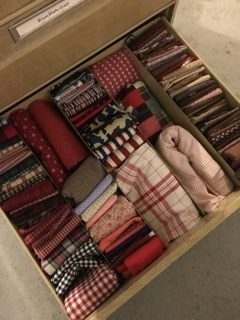 This Simplicity pattern cabinet FULL of high-quality quilting fabric. 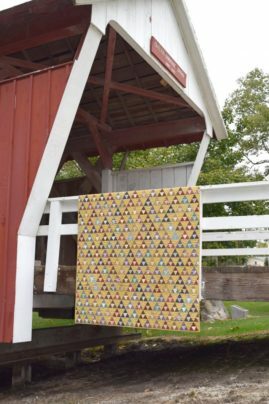 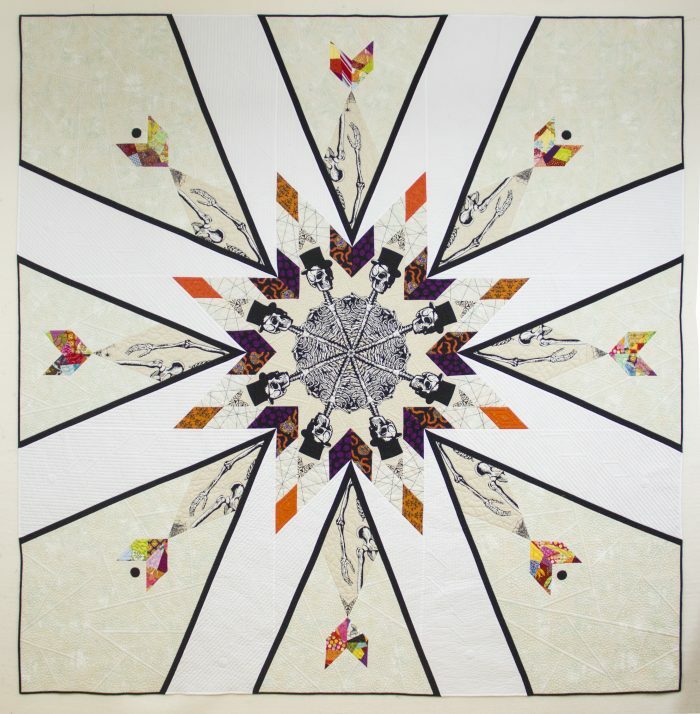 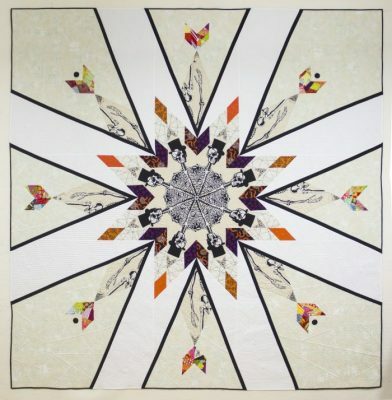 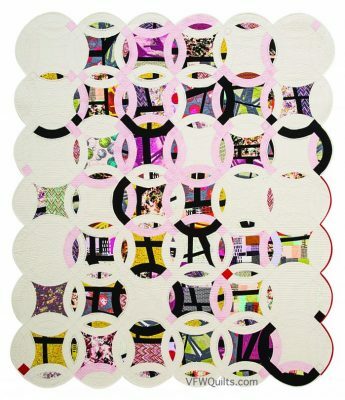 This would be a great purchase for a quilting guild or group. 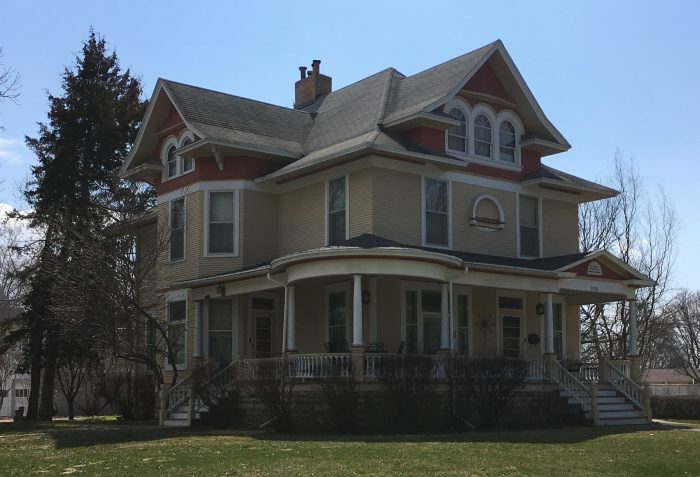 Tickets for the Dinner & Auction must be purchased in advance. Tickets to the Trunk Show & Cocktail Reception can be purchased in advance as well and will only be available at the door if space permits. 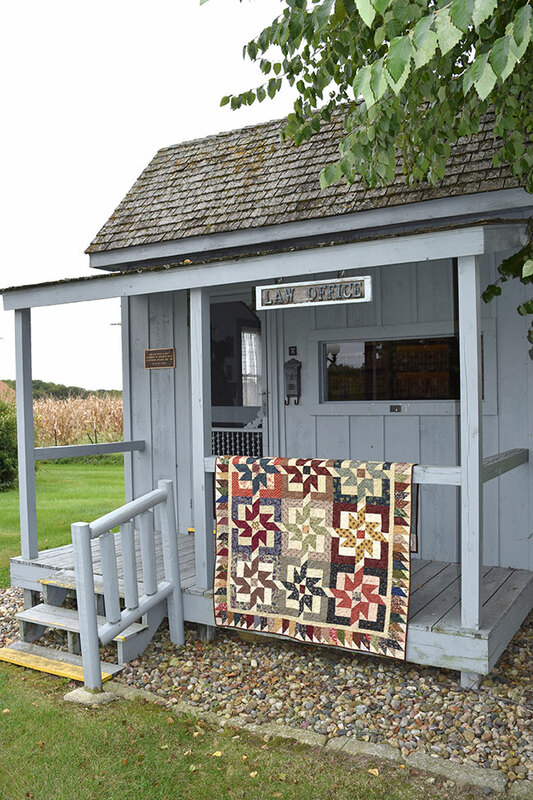 Tickets for the daytime Airing of the Quilts displays are available online or can be purchased on April 28th at the Iowa Quilt Museum.